We have some different ways to surf online anonymously, usually we use proxy, VPN, Tor, or other, but today I like introduce another new way. Actually, it was an art activity, the founders are two Swiss artists Mathias Jud and Christoph Wachter. They found a new way to bypass internet censorship, it is very interesting that different between other bypassing way, it uses a clickable image page, so scan sensitive keyword is not working. This is picidae project, its first page is very simple, only display a address bar without click button, but after you fill a web address into this bar you can click "Enter" key of keyboard. Then it takes you to a destination page with a clickable image page. The interesting is on this image page any link can click. But it only fits text, image page, you can not use it to surf multi-media site, like Youtube, Hulu, Pandora Radio. But it still works fine, especially it helps people who live in some internet censorship countries. They went China to test picidae project, the results are very good. China has very strong technology to block some websites. 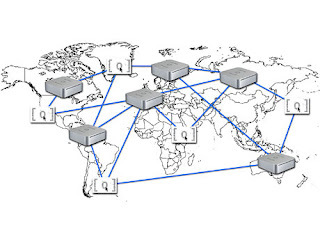 Like Tor, picidae project also distributes its client (server, proxy) to internet users. You can setup server on your computer, or make your website became a web proxy service.